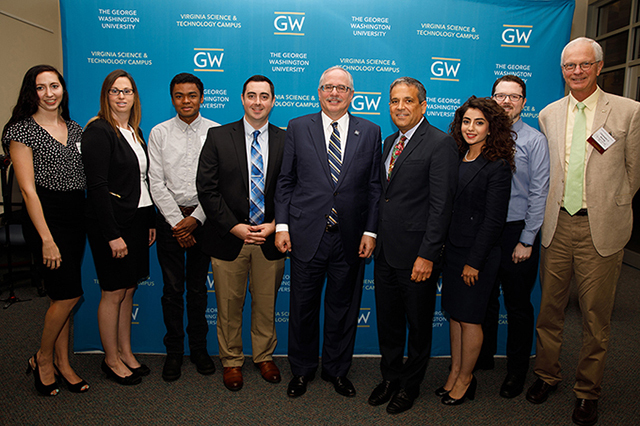 Mr. Warner (B.A., ’77) came to GW’s Virginia Science & Technology Campus (VSTC) on June 22, to share ideas with the cyber students following his talk at the Northern Virginia Technology Council’s (NVTC) event, an association of businesses, government agencies and service providers in the technology industry. The event was co-sponsored and hosted by GW/VSTC and attended by approximately 100 industry professionals. During the NVTC event Mr. Warner addressed the need for a national cyber doctrine, because one of the greatest threats to the United States is its enormous vulnerability in cybersecurity. A case in point, the senator noted, was the recent revelation that Chinese hackers broke into a U.S. Navy system and stole highly sensitive information, as well as the millions of cyber hits the Department of Defense takes daily. He also recognized the need for additional trained cyber professionals and those with active security clearances, which can be a great challenge with a current backlog of security clearances in both the private sector and the government that is now at about 740,000. Since 2014, the time it takes for someone to obtain a security clearance is on average 540 days. The students attended the NVTC event and then met with Mr. Warner to ask him questions and share information about their experiences as cybersecurity students. From left to right: Students Tamara Kirchleitner, Kristique Storm, Daniel Rogers, Devin James (Veteran), President Thomas LeBlanc, Provost Forrest Maltzman, Reazan Jaff, Jason Beatty (Veteran), Dean Chris Deering. During student introductions Kristique Storm said “When I was at Lord Fairfax Community College I was one of only two women in my program. It was important to me when selecting a program not to feel like an outsider in a male-dominated field. At GW I don’t feel any different than the guys and there are many more women in the program.” Dr. White confirmed, "I am a strong proponent of women in technology and as such, I’ve made the recruitment of qualified women applicants a priority for the Cybersecurity Program." “Just being a student of The George Washington University has a lot to do with that as well. It is a very prestigious institution and to be included amongst my colleagues here within this institution, be able to utilize that name and then move forward in our career experiences and moving forward within our field is certainly substantial,” said Reazan Jaff. “Based on the classes we are taking it is clear to me my choice why I came here. The program is very well rounded, you are going to get experienced knowledge within several different realms of cybersecurity including policy, administration, and technical and that is an advantage over other universities I looked at when I was making my decision where to go,” said Jason Beatty (Veteran). The lively conversation also included discussion of security clearances, cyber curriculum, cyber-related communication between all US security-related agencies, paying for your education, student loans and employment demand. Mr. Warner also wanted to know about their plans post-graduation and whether they envisioned working in government, intelligence or the corporate sector. They brainstormed on ideas of how students could start the security process while still in school. 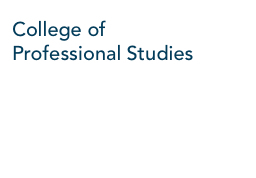 “Employers are waiting at the doors to scoop up our students and the employer demand for young professionals in this space is making the Cyber BPS the fastest growing program within CPS,” said Professor White. The Senator ended by offering to help the students find jobs by contacting his office if they ever find themselves needing assistance in the future.